A rabbi was found badly beaten this morning in the western Ukrainian city of Zhitomir. With the onset of Shabbat there, Jewish community leaders are asking for prayers. 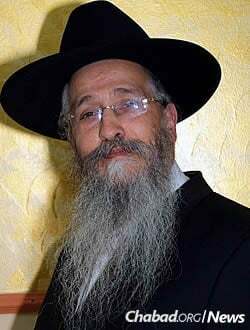 Rabbi Mendel Deitsch, a longtime Chabad-Lubavitch emissary in France and more recently in Israel, was brutally attacked at Zhitomir’s central train station early Friday morning, where he was discovered and transported to a local hospital. The Jewish Community of Zhitomir, headed by Chabad RabbiShlomo Wilhelm, was alerted to the attack hours after Deitsch was admitted to the hospital. As Shabbat approached in Ukraine, Deitsch was being operated on in Zhitomir. His situation is being described as extremely critical.